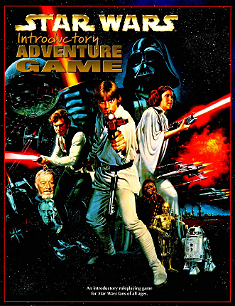 Welcome to the forum section focused on all three variations of Star Wars: The Roleplaying Game First Edition, as well as the Introductory Adventure Game. This also may be helpful if wishing to reverse engineer something in 2e back to 1e. The Strikeforce: Shantipole adventure? One of the first modules for WEG Star Wars and one of my favorites. A lot of fun. Please let us know how it goes! Now getting myself used to the rules of starship combat and all that because there's plenty, in fact adventure starts with one haha. No force to use I think (as my characters are not force users right now, although in the future I might give them options depending on how their characters have developed). Would MiniD6 be appropriate here as well? 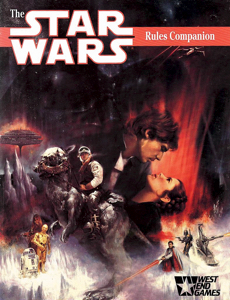 From what I've read of it, it seems to be an updated version of the 1E rules. 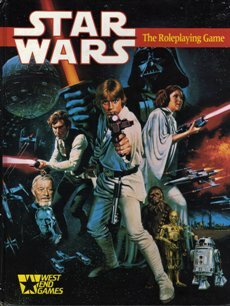 Now we would discuss a Mini Six homebrew version of Star Wars in Other Star Wars Games (or possibly House Rules), and the Mini Six system in general and/or non-Star-Wars Mini Six settings in Miscellanea.